Just finished the Ride4Water 100 with the Awarewolfs. I rode 106 miles from Long Beach back home to San Diego on my Cinelli fixie (proof). Thanks so much to Charlie Sears, the founder of the awarewolfs, who organizes just about everything. 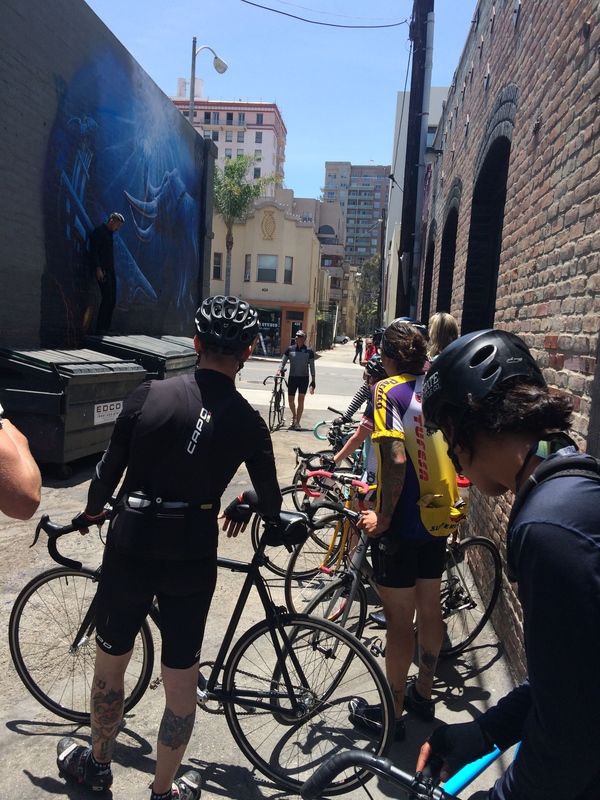 The awarewolfs is an amazing club, home to some very cool fixed gear riders downtown, and some unbelievable events. This is the group leaving the City Grounds bike shop in Long Beach. Half of the guys already rode 100 miles, and were starting the second leg of the Ride4Water 200. One gear, no brakes, 200 miles.